Plus 10 minutes of new gameplay. 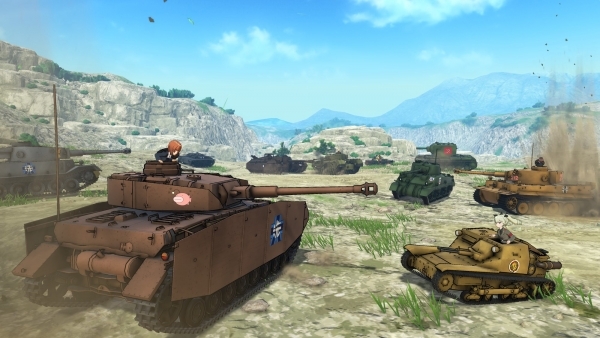 Japanese singer ChouCho will perform the theme song, “One and Only,” for Girls und Panzer: Dream Tank Match, Bandai Namco announced during the Girls und Panzer fifth anniversary event broadcast. “One and Only” will be featured on ChouCho’s third album, “Color of Time,” which launches on January 17, 2018 in Japan. In addition to the theme song announcement, Bandai Namco also debuted 10 minutes of live gameplay from the upcoming tank battle action game. Girls und Panzer: Dream Tank Match is due out for PlayStation 4 in Japan, as well as in Asia with English subtitles, in winter 2017. Watch the theme song announcement trailer and gameplay below. Gameplay available from 11:12 to 21:07.